Certain features in IMVU are activated based on material assignments, for example rely on specific sections of the mesh being assigned an appropriate identifier (“ID”) which then triggers the effect for those surfaces. For IMVU this identifier is not specifically the name or label given to a material assignment. The descriptive word that might be used, for example “head“, “hand” etc., but a special appended number like so; ““, ““, “” etc. that makes the material look like this, “head “, “hand ” and so on. Without doing this meshes can appear white or un-textured in IMVU. Arg! Where’s everyone gone!!. 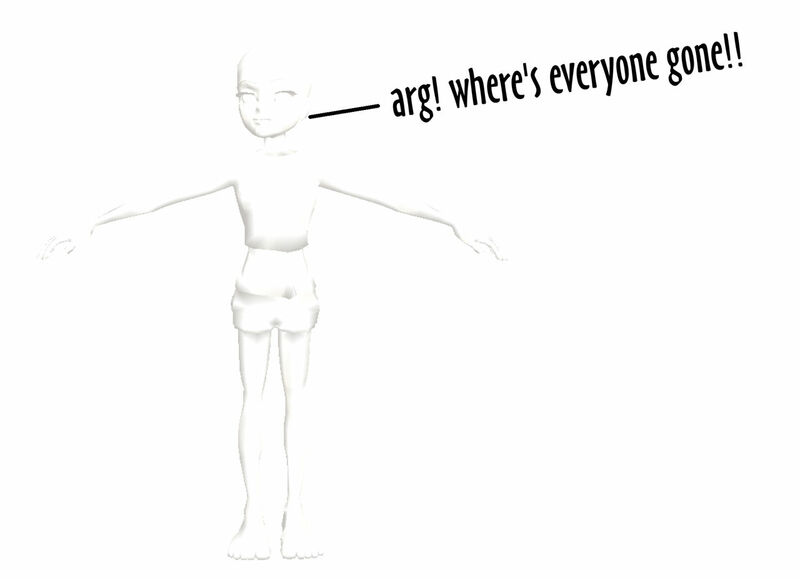 Without materials assigned to meshes everything appears white in IMVU – this is not specifically textured with a white JPG or PNG, but ‘un-rendered’, nothing has been specified to be shown on the mesh. This latter collection of material ID’s don’t normally appear on the default avatar because they’re more often associated with a different set of products that, using ‘body parts’, still need a related ID to allow for example low cut tops or short-shorts that expose the underlying skin of the avatar to varying degrees as part of the product . 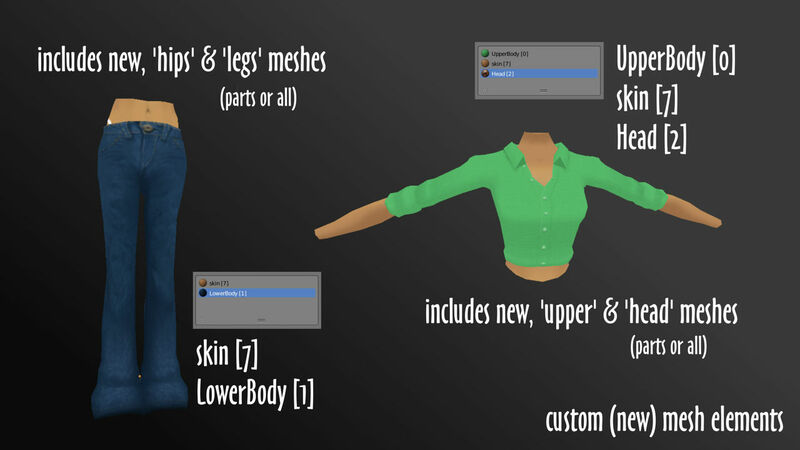 The actual materials visible on the avatar or available for creating may vary depending on the source file used, or the product or item being made. The above are core to the standard avatar (the character revealed when all items and clothing are removed). Short-shorts are so 1980’s! Some types of product make use of the avatar itself so materials ID’s for these ‘extra’ items still need to be relative to the full, underlying body. 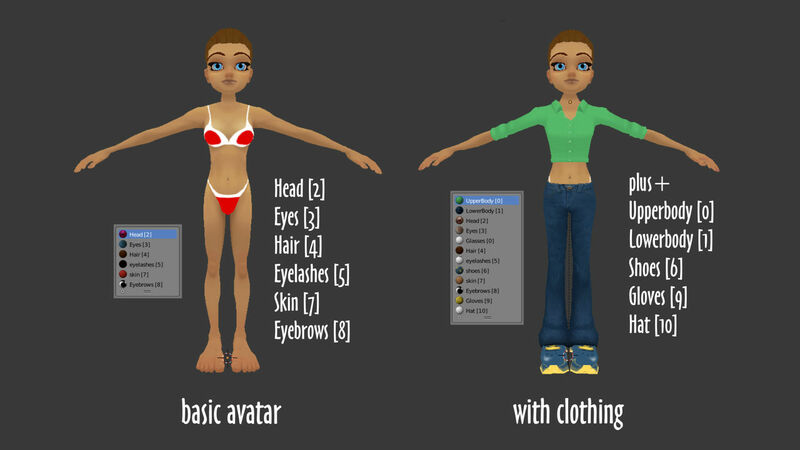 In Blender, IMVU’s material names need to be duplicated to the extend that body parts (meshes) must be assigned the same material names or labels in full, in Blender the head mesh for example would be Head , the eyes sub-mesh Eyes  just as they are in IMVU. This holds true for all avatar meshes and material names/assignments. This then ensures that, for example making a head that replaces the default whilst using same default texture works the way it should, the head appears and the skin changes based on the Users product assignments. For more help working and assigning Materials in Blender click here. When replacing body parts they can include other sections of the avatar. When doing this make sure the each section is assigned the correct material for the bits being over-ridden.